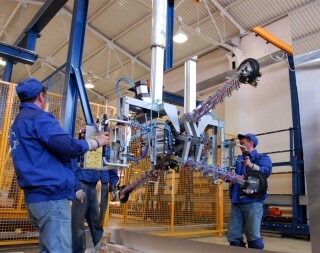 Opening of the silver mirror plant was 11th of August, 2006 within implementation of the joint project of «Steinert Industries» and EBRD for countries of early transition period on the territory of LLC «Interglass». 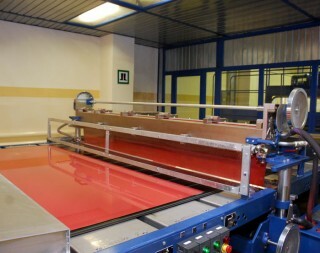 Production of mirrors Interglass-Mirror does not involve lead that makes their production and application environmentally friendly. 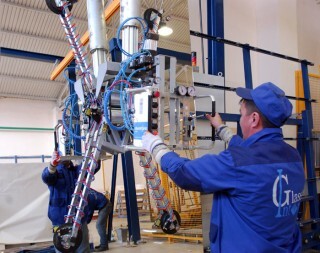 A new technology applied by “Interglass” company allowed to refuse usage of these toxic components in the production process and improve wear-resistance and reflection power of the mirrors. The technology is based on special treatment of the silver cover allowing not to add toxic components into anticorrosion primers.